The first rounds have taken place in all of the men’s youth, men's junior, and women's junior categories, at the CSKA Athletics and Football Hall. 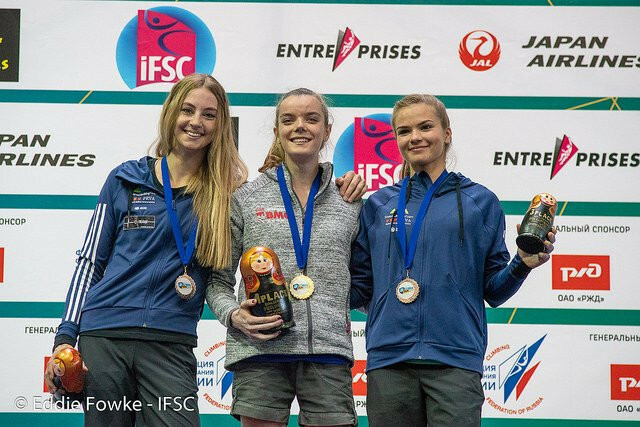 In the women's junior event, three of the top four qualifiers were all from Slovenia. Mia Krampl, who is ranked 21st in the world at senior level, finished first with a score of 1.73 after two runs. Finishing second was Hannah Slaney from Great Britain, who won gold in the bouldering event two days ago. She had the best first run of anyone, but a less impressive second run saw her slip behind Krampl overall. Vita Lukan came third in qualifying with a score of 4.42, while fourth place went to another Slovenian in Urska Repusic. No-one made the top in the women’s junior qualifying, but in both the men’s junior and youth events, two athletes qualified joint first having all reached the top in both of their runs. In the junior competition Yannick Flohe from Germany and Kai Harada from Japan each performed flawlessly, both scoring 2.29. They are followed in the rankings by Nimrod Marcus from Israel and another Japanese climber Meichi Narasaki, who both reached the top in their second runs. It is Marcus that sits alone in third however, as he made it further in his first run. In the men’s youth event meanwhile, Spain’s Alberto Gines Lopez and Japan’s Hidemasa Nishida reached the top in both of their runs. 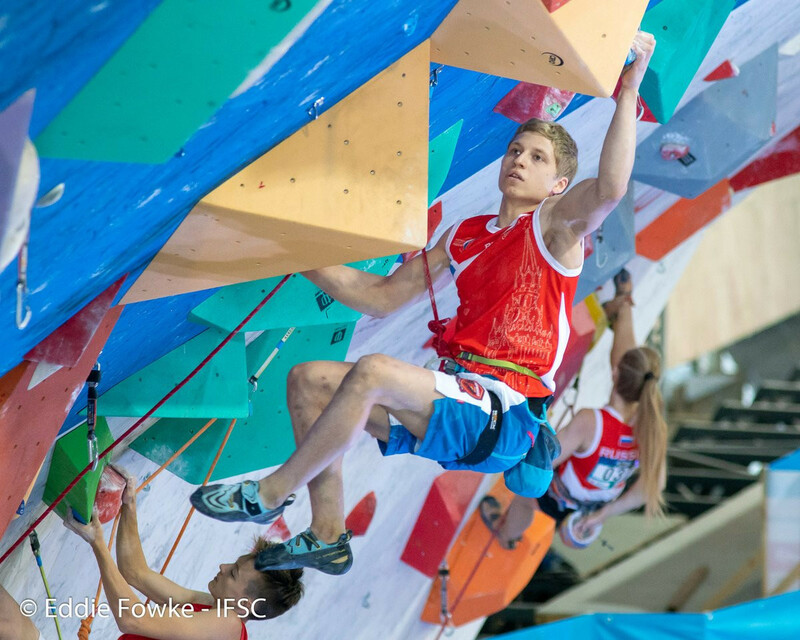 Only one other climber, Slovenia’s Luka Potocar, reached the top at all. He managed it on his first run, but not on his second, for which he scored 38+. Semi-finals will take place tomorrow, before the medals are decided on Wednesday (August 15).